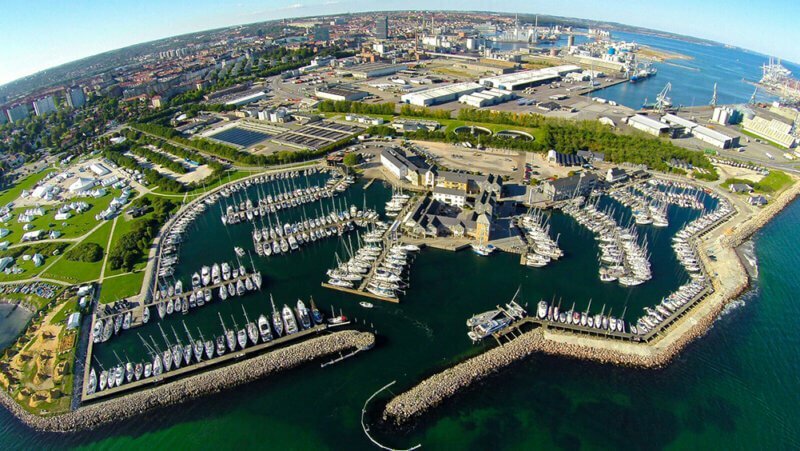 Marselisborg Lystbådehavn is located in nice scenic surroundings that can easily and quickly be exchanged with the vibrant city life of Aarhus, just a few kilometers away. The harbour has a varied selection of restaurants and opportunities for Do-It-Yourself food at their four outdoor barbecue areas and the indoor kitchen facilities. For the children there is a large children’s playground and exciting snorkeling and diving opportunities. A more child-friendly alternative, Bellahage Beach, is only a block from the harbour. 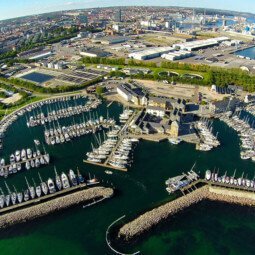 At Marselisborg Lystbådehavn you will also find family bathroom, free bike rental, boat equipment store and repair service center. Shopping opportunities are within walking distance. The harbour office is located in the tower at the harbour.